5. Package Inclusion: CBC , Blood Grouping - ABO & Rh, Blood Glucose Fasting , Glucose, Post Prandial (PP), 2 hours, HBA1C, Lipid Profile, Liver Function Test , Serum Creatinine , Serum Calcium , TSH , Stool Routine , Urine Routine , Ultrasound Abdomen & Pelvis , X- Ray Chest , ECG , Stress Test * / Echo, Pap Smear ( Female ) , Consultation with Doctor , Special consultation- ECHO/TMT, Consultation with Gynecologist , Consultation with Ophthalmologist , Dental screening, Dietician consultation charges-OP & Breakfast. 6. 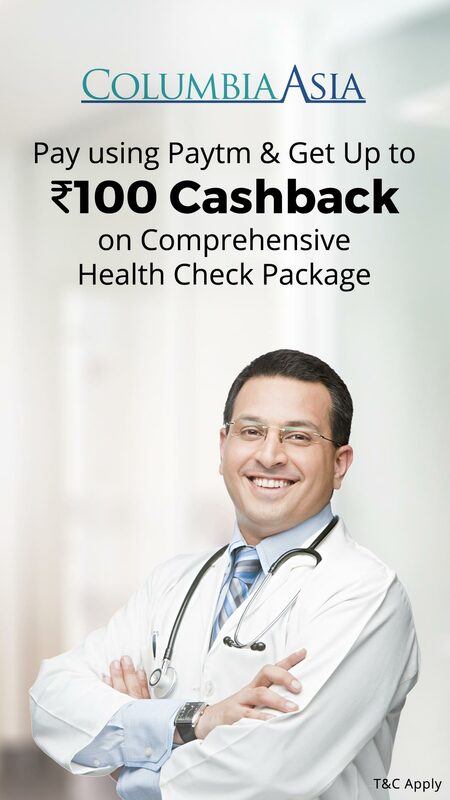 Comprehensive health check up package above 40 Years (Female) worth Rs.6000.